The U.S. Department of Labor (DOL) has been busy. It recently issued six new opinion letters on various compliance issues. As described below, four of the letters involve the federal Fair Labor Standards Act (FLSA) and two of the letters involve the federal Family and Medical Leave Act (FMLA). 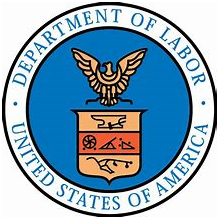 While DOL opinion letters are issued in response to a particular employer’s submission of a question to the DOL, employers that rely on a DOL opinion letter in setting their practices have a legal “safe harbor” defense if faced with, as applicable, a FLSA or FMLA legal challenge. That being said, courts are not required to follow DOL guidance, and employers should be sure to be mindful of potential state or local law variances. FLSA Opinion Letter 2018-20 addresses whether time spent by a nonexempt employee voluntarily engaging in employer-sponsored wellness activities, biometric screenings, and benefit fairs constitutes compensable time under the FLSA. The short answer is that, if handled properly, an employer can set such time up to be nonworking time that is unpaid. To do so, the employer must ensure that: (i) employee participation is voluntary; (ii) the employee does not perform job-related activities while participating; and (iii) the wellness and benefits activities primarily benefit the employee. Activities that are aimed at educating an employee to make informed decisions about their personal wellness, benefits, or finance choices are likely to be viewed as primarily benefiting the employee. FLSA Opinion Letter 2018-21 addresses whether a worker involved in making business to business sales of a point of sale platform qualifies for the FLSA’s “retail or service establishment” exemption from overtime pay. Under the “retail or service establishment” exemption, an employee is exempt from overtime requirements if the employee works in a “retail or service establishment, his/her regular rate of pay exceeds 1.5 times the applicable minimum wage, and more than half of his/her earnings in a representative period consist of commissions.” In turn, to qualify as a “retail or service establishment,” a company must (i) engage in the making of sales of goods or services; (ii) have at least 75 percent of its sales of goods or services, or both, be recognized as retail in the particular industry; and (iii) have not more than 25 percent of its sales of goods or services, or both, be sales for resale. Under these standards, the DOL found that a company selling a technology platform to merchants that enabled the merchants to accept credit card payments from customers from a mobile device, online, or in-person was a “retail or service establishment.” The company in question offered its platform for direct use by the purchasing merchant and not for re-sale. FLSA Opinion Letter 2018-22 addresses the requirements that must be met for a “worker” to be an unpaid volunteer of a nonprofit. Unlike for profit entities, nonprofit entities can use unpaid volunteers without having FLSA pay obligations if certain criteria are satisfied. In the opinion letter, the WHD found that short-term exam graders for a nonprofit were properly classified as unpaid volunteers, because (i) their services were motivated by a desire to engage in civic or charitable purposes; (ii) the services were truly voluntarily and given without any pressure or coercion; and (iii) the graders had no contemplation of the receipt of compensation. FLSA Opinion Letter 2018-23 addresses when a movie theater can offer ancillary services and still retain the status of a “motion picture theater” exempt from overtime pay requirements. The FLSA exempts from its overtime requirements, “any employee employed by an establishment which is a motion picture theater.” To be a “motion picture theater,” the business in question must be primarily engaged in the exhibition of motion pictures. As to the theater in question, the DOL found that dining services offered to the theater’s customers were sufficiently integrated into the theater’s operations to constitute one exempt motion theater establishment. As a rule of thumb, the DOL noted that it will typically find that a theater is primarily engaged in the exhibition of motion pictures if it devotes at least 50% of its available presentation time to presenting motion pictures. FMLA Opinion Letter 2018-1-A addresses employer no-fault attendance policies. Such policies often provide that an employee will be disciplined or terminated after a certain number of attendance violations, with past violations falling off after a set time of improved attendance. It is well-settled that, under the FMLA and disability discrimination laws, an employer cannot count FMLA or disability accommodation absences against an employee under a no-fault policy. At issue in Opinion letter 2018-1-A, however, was whether an employer can “freeze” the attendance points of an employee on FMLA leave so that the employee did not, by virtue of the FMLA leave, move into a points fall-off period. The DOL concluded that an employer can “freeze” the employee’s attendance points so long as it applies this rule on a nondiscriminatory basis. For example, if the employer also freezes attendance points during other types of leaves—such as parental leave—it can do so during an FMLA leave. Employers should remember, though, to consider court case law precedent and state laws when adopting their attendance policies and practices. FMLA Opinion Letter 2018-2-A addresses whether organ donation surgery qualifies as a “serious health condition” entitling an otherwise eligible employee to FMLA leave. In Opinion 2018-2-A, the DOL said “yes.” According to the DOL, this is true even if the donating employee was in good health prior to the donation surgery, as the donation surgery and any recovery period constitute a serious health condition.